This i a close up of a river scene I worked in Vermont. The bigger version was posted some time ago “A River Runs Through It” is its title. I learned from my DLWS workshops, and specifically Joe McNally to work a scene. Go close, go wide, go low, go high… you get the idea. it’s great when a scene works in both the macro and micro points of view. The wide rushing river, and the close-up water flowing over the rocks. Just great stuff, the stuff that makes taking photographs so much fun. The blur by the way, was caused by using a Singh-Ray variable Neutral density Filter. 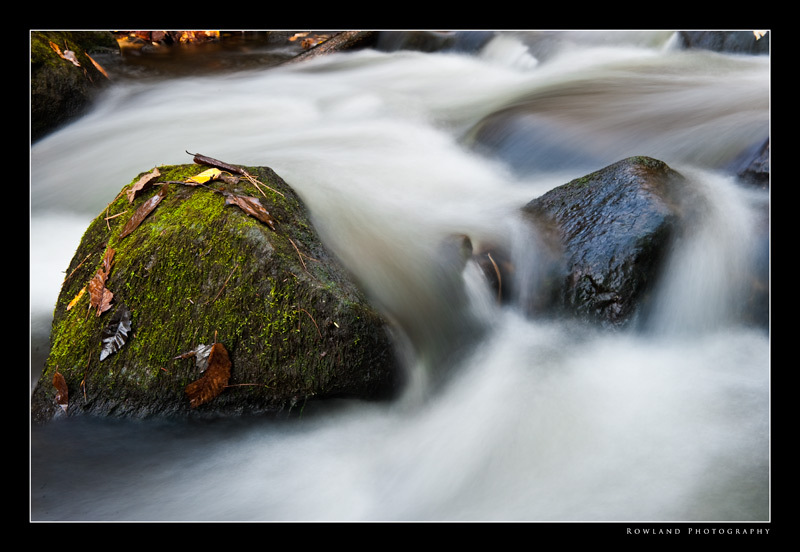 It simply rocks when it comes to slowing down your shutter speed (up to 8 stops of light!). 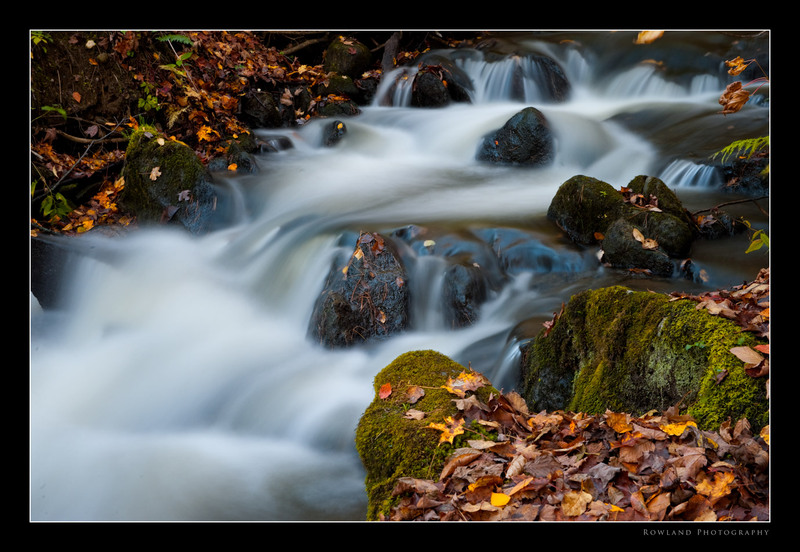 It takes only a few moments (or seconds) to get that dreamy, blur in water that is moving at a decent pace. 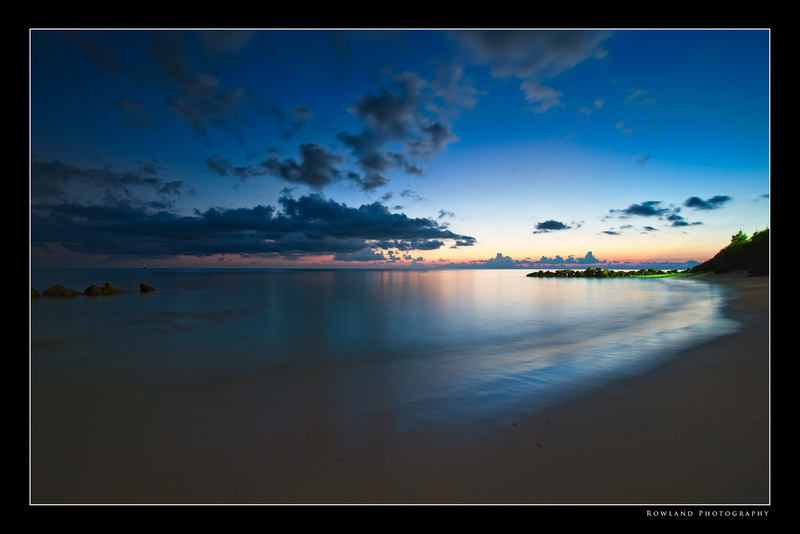 Another shot taken in Bermuda with the Singh Ray variable Neutral Density Filter to reaaallly elongate the exposure time. You can see the duration of the open shutter actually blurs the moving clouds overhead… an effect I always loved (when done right) because it captures the passage of “time” in a 2D still image. WOW! If that ain’t a mouthful to say… Galen Rowell, a photographer whose work I truly admire often mentions the use of Singh-Ray filters. These puppies are not cheap, but they deliver. Luckily, I happen to have a waterfall in my backyard, so took the filter for a test drive this am and really loved the results. Can’t wait to get it out in the field and snap some wide angle beach shots. This shot was taken with a Nikon D3 @ f22 for 2 seconds. This was taken at about 11:30 am, so sun was pretty bright. I had the VND filter at about midway- I took some with it cranked up, but lost some details in the rocks and trees around the waterfall. I think this is one that as you experiment, and depending on the lighting conditions, you will get used to how it should be set.